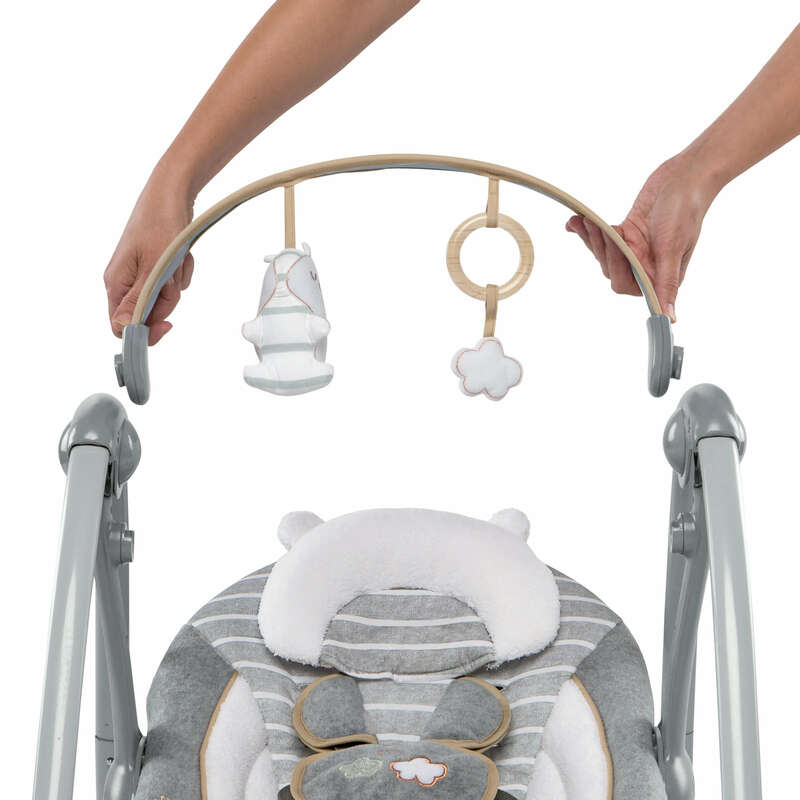 Remarkably soft fabrics pamper baby in luxurious softness with an added bolster and character head rest that offer extra support for smaller babies and can be removed as baby grows. 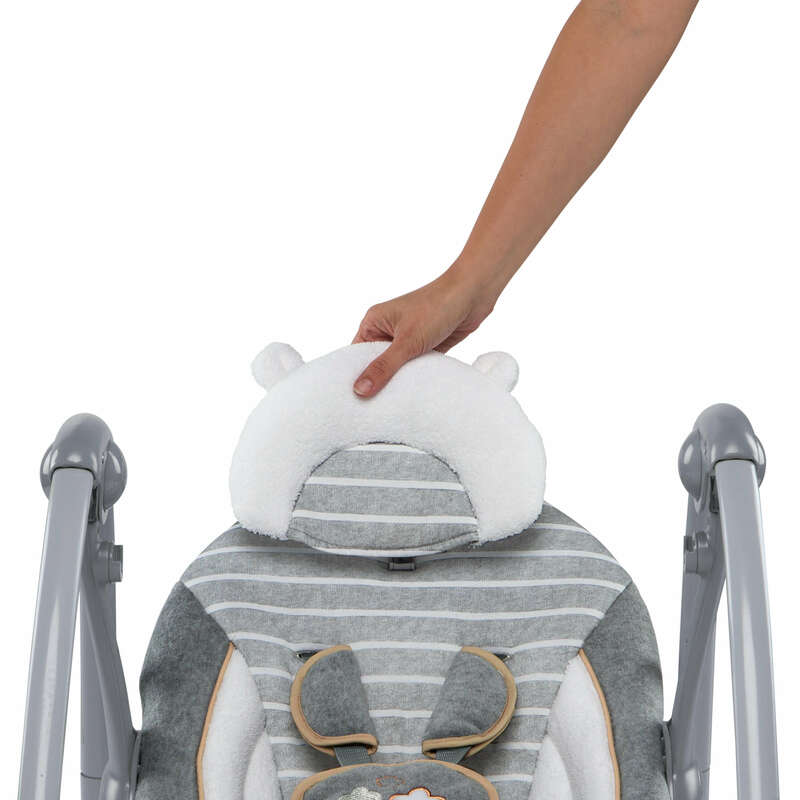 Even the safety harness is wrapped in soft, fleecy fabrics to protect baby's sensitive skin. When things get a little messy, the contoured headrest and seat pad can be removed and tossed in the washing machine. 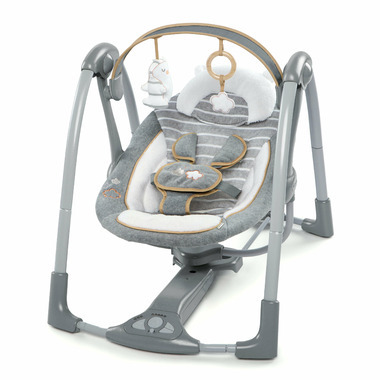 This fully-loaded, compact swing soothes baby with 5 swing speeds, 8 melodies and 3 nature sounds. A pivoting toy bar offers 2 adorable plush toys for engaging baby. You'll save money on batteries thanks to Hybridrive™ Technology. Your batteries last up to 3 times longer. TrueSpeed™ weight sensing technology keeps baby's favorite swing speeds consistent, even as baby gets bigger. 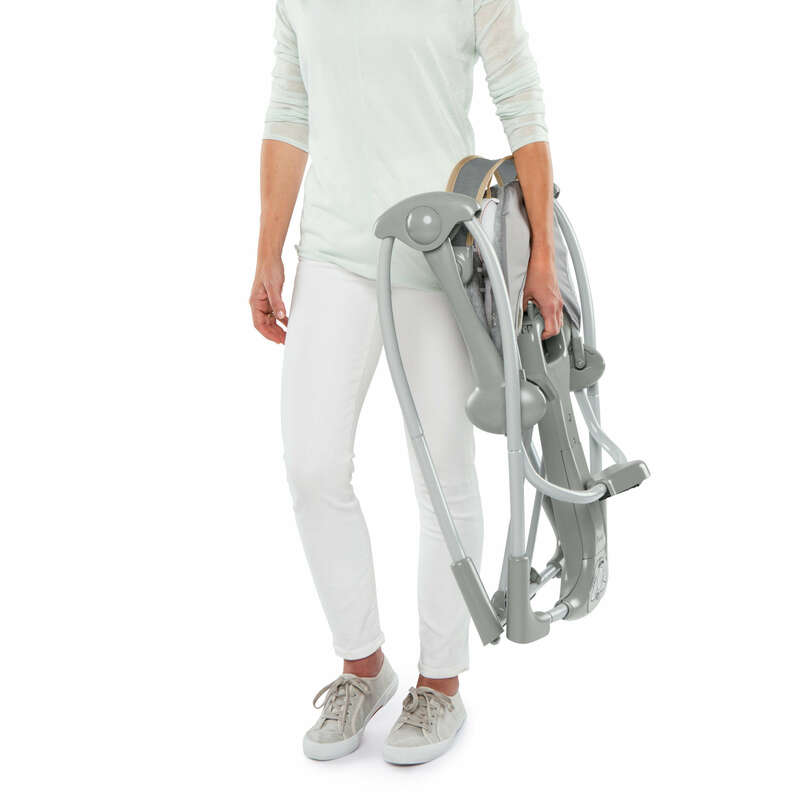 For convenience and on the road, SlimFold™ design allows the swing to fold flat for easy storage and transport. Get a few hands-free moments with a swing timer that can be set to 30, 45 and 60 minutes. 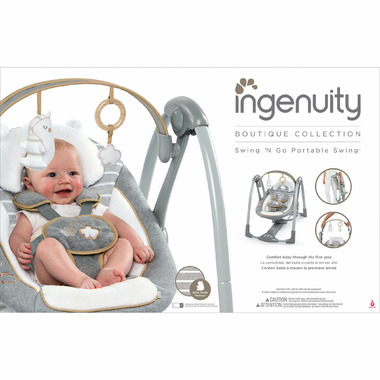 WhisperQuiet™ technology allows baby to swing in near silence. Safety-enhanced with 5-point harness and non-slip feet for security. TrueSpeed™ technology means baby's favorite speed will remain consistent, even as baby gets bigger.